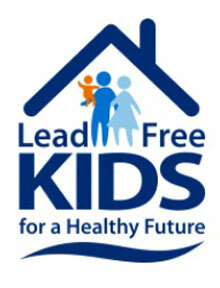 State health officials are issuing a call to action for lead poisoning prevention awareness to decrease childhood exposure. Kevin Officer, community health consultant at the Iowa Department of Public Health, says 60,000 to 70,000 Iowa kids are tested for lead every year and as many as 10% are found to have high lead levels in their bodies. In many parts of the U.S., lead in the water due to old pipes is a problem, but here in Iowa, old house paint is usually the prevalent culprit. Iowa is among the top states for pre-1950 housing and many contain lead paint. “Working with parents on hygiene, keeping kids’ hands clean and keeping the home clean,” Officer says. “Home cleanliness is one way to minimize and reduce that exposure in kids.” This is National Lead Poisoning Prevention Week which highlights ways parents can reduce children’s exposure to lead in their home environment and prevent serious health effects and learning disabilities. The three themes of this year’s Lead Poisoning Prevention Week are: Get The Facts, Get Your Home Tested, and Get Your Child Tested.